Brushing and flossing your teeth is an important part of your oral hygiene. 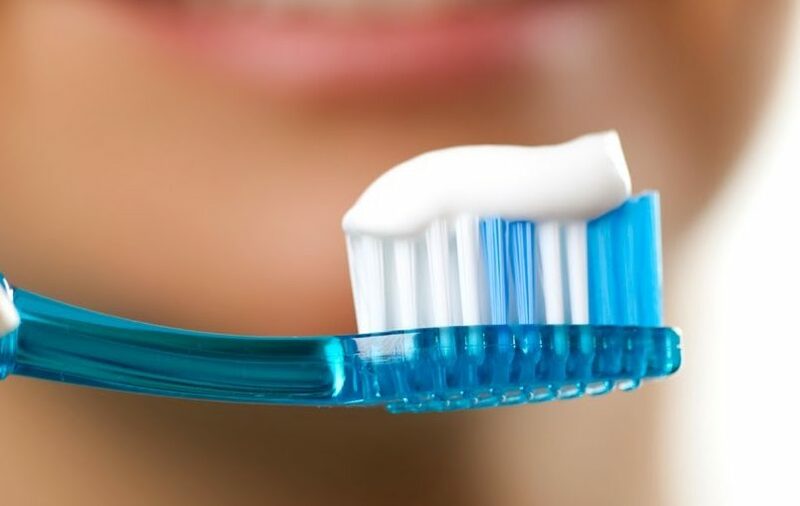 Brushing with a fluoride toothpaste cleans the visible surfaces of the tooth. However, dental plaque and pieces of food intensively accumulate in the spaces between the teeth. There, they remain invisible for a long time and can not be removed with a toothbrush. Therefore, caries and gum disease often begin here. To keep your teeth healthy, you must use a dental floss: preferably after each meal, or at least during the evening brushing of teeth. Flossing removes bacteria-filled dental plaque and food spots from spaces between your teeth where a toothbrush can not achieve. Dr. Sahakyan, At My Dentist Burbank recommends you to brush and floss your teeth multiple times every day. Call 1-818-578-2332 or contact our Burbank dental office today. The oral cavity is one of the most environmentally contactable places in the body. Billions of bacteria live in the mouth. Teeth are given to us for the mechanical processing of food. The remains of food can get stuck between the teeth after chewing. This creates a breeding ground for microorganisms. If a person has not cleaned the teeth for a long time, the bacteria multiply very quickly. As a result soft coating is formed. This plaque is very damaging to the teeth because emits an acid that destroys the enamel of the teeth. If you do not clean it, then soon the tooth will be prone to carious lesions. In addition, the plaque contributes to the fact that the mouth violates the natural barrier to infections. It can also cause halitosis – bad breath, tartar. If you regularly clean your teeth of a soft plaque, then we will not give microorganisms any chance to cause cavities and other problems. It is necessary to brush your teeth at least two times a day – in the morning after breakfast and in the evening before going to bed. In addition to cleaning the external and internal surfaces of the tooth, special attention must be paid daily to the interdental spaces. Since between the teeth the rests of food gets stuck. On that stuck food the dental plaque grows very quickly. The interdental spaces are cleaned with a dental floss, without damaging the gums. The thread is neatly wound between the teeth, bypasses the gum, cleans plaque and food remnants from the teeth in the area of the interdental spaces. It is also necessary to clean the teeth after each meal. For this, people with healthy teeth can use chewing gums, which can clean the oral cavity only after eating no more than 5-7 minutes. In patients with problem teeth chewing gums can cause damage to teeth.In this case you can use mouthwash after eating, instead of a gum. Two times a year Dr. Sahakyan, At My Dentist Burbank recommended to carry out the professional cleaning of teeth at the dental office. The best dentist in Burbank will help to clean what is not cleaned at home in any way – tartar, color plaque. The choice of a toothbrush will be greatly assisted by your dentist’s advice. 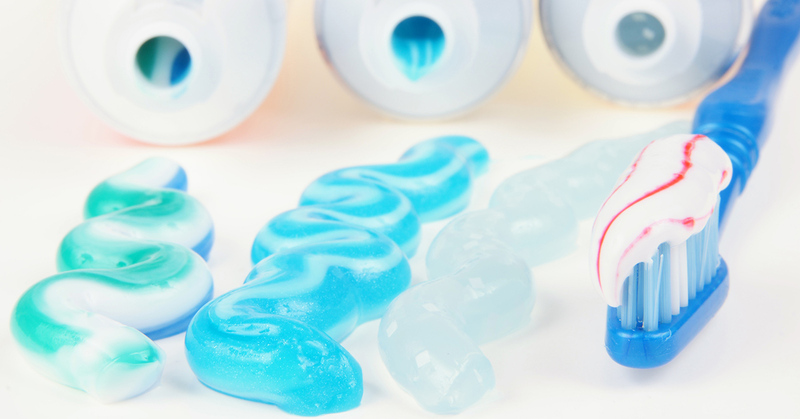 A soft brush can not so effectively clean teeth, and stiff bristles can damage enamel and gums. The most commonly used brush is medium hardness. Which toothpaste should you use depends on the state of the oral cavity of each person. 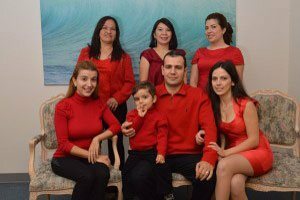 It is worth to look at the advice and recommendations of the Burbank dentist, Dr. Sahakyan. For a child, you need to buy special pastes in accordance with the age. A low concentration of fluorine-containing substances helps to avoid complications from swallowing the paste. It is advisable to periodically change the paste for cleaning teeth, combining creamy and gel means. First of all, the paste should help to get rid of the plaque. To the habitual manipulation of the brush is really beneficial, brushing your teeth should be daily. It is recommended to conduct it at least twice a day, spending at least 2 minutes each time. 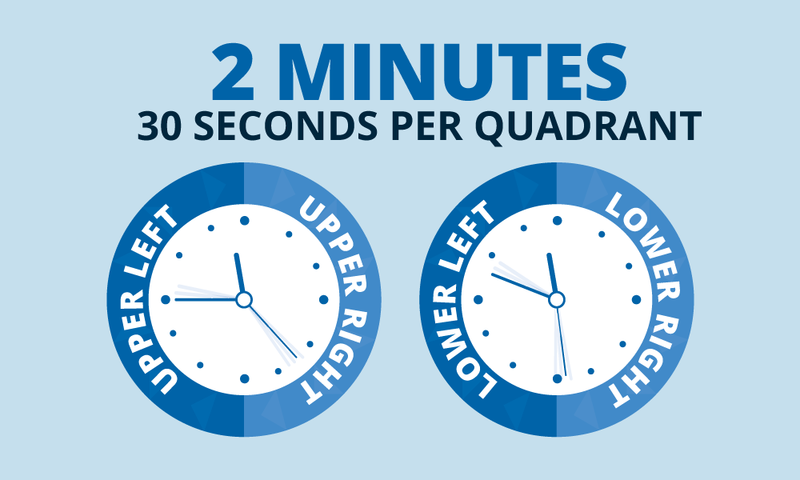 For 30 seconds for each half of the upper and lower jaw – this is not so much. But often people too quickly complete the oral hygiene, removing only the remnants of food and leaving the plaque. This predisposes to the development of cavity and gum disease. Usually, people prefer to brush their teeth, preparing for the upcoming exit from home. Indeed, morning care of the mouth allows you to freshen your breath, remove accumulated overnight raid, get rid of breakfast rests, give your teeth a healthy shine. But this is not enough to prevent dental diseases. Before going to bed, it is necessary to brush your teeth. Otherwise, at night there will be favorable conditions for the development of bacteria in your mouth. In this case, the enamel will be prone to destruction and the gums may become inflamed. The remnants of food, the products of their decay and the substances released by the microorganisms change the acidity of the saliva, which also has a negative effect on the teeth. So regular evening cleaning is a good prevention of tooth decay. It is difficult to find a person who does not know how to brush his or her teeth. Most often this simple procedure from early childhood is included in the daily hygienic ritual. As dentists say, in fact, many people pay insufficient attention to oral care. Due to ignorance or negligence, they miss important points and thereby increase the risk of developing various dental diseases. A regular cleaning of teeth can destroy up to 60% of the plaque and improve the condition of the gums. 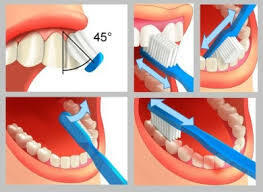 When cleaning, the brush head with the paste applied to it needs to be positioned at an angle of approximately 45 ° with respect to the surface of the teeth and to the gums. It is correct to brush your teeth, starting with the distant chewing, gradually turning to the front incisors. You need to do a total of about 20 movements per tooth. First, you should brush your teeth, as if sweeping out the plaque from under the edge of the gums and from the interdental spaces. 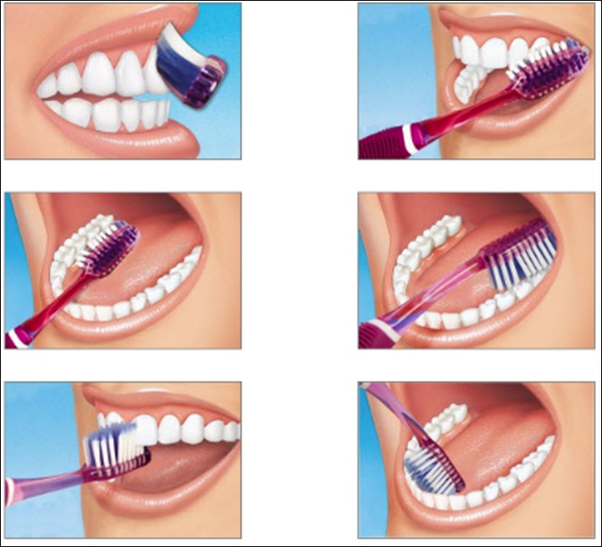 The movements should be quite intense, with the brush head rotating in the direction away from the gums. This will help remove the food remnants from the surface of the teeth and from the subgingival pockets. It improves blood circulation in surrounding tissues. To get rid of the plaque on the cheek surfaces of the teeth, soft circular motions are performed. The inner sides are processed in the direction of the gums. The chewing surfaces of the lateral teeth are cleaned back and forth by movements. It is desirable to clean the back of the tongue from the plaque, and then complete the procedure by rinsing. 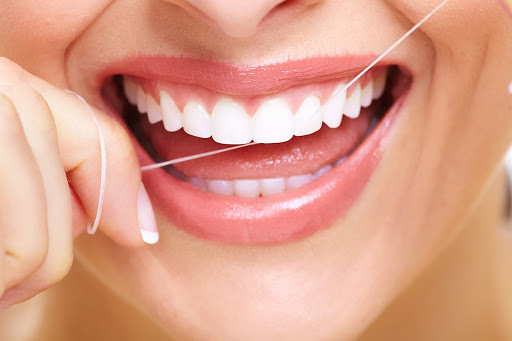 Dental floss is a special thread for cleaning the interdental spaces after brushing the teeth. Floss cleaning is a method for removing bacteria and food debris that can not be removed with a toothbrush. Typically, the thread is a very thin piece of synthetic cord that is inserted and moved up and down between the sides of two adjacent teeth. 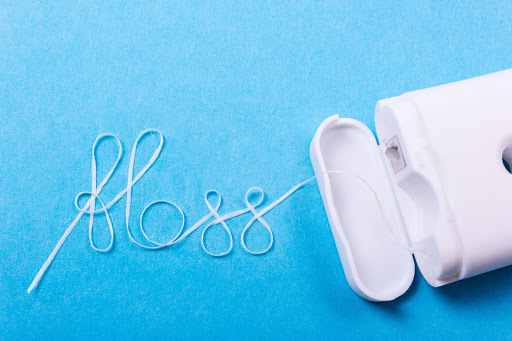 Dentists believe that using dental floss is the most important weapon against dental plaque. In any case, the daily use of dental floss is an excellent and proven method. It supplements the routine cleaning and helps to prevent tooth decay, periodontal disease and other dental problems in later life. It also increases blood circulation in the gums. The thread removes plaque and food residues that adhere to the teeth and gums. Floss your teeth at least once a day. As with a brush, flossing should take about three minutes and you can combine business with pleasure. 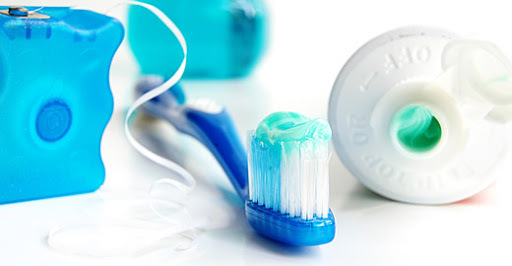 Brushing and flossing your teeth is the best way to prevent cavities and periodontal disease. With the help of a toothbrush and dental floss, you will get a really clean and healthy mouth. Dr. Sahakyan, At My Dentist Burbank recommends you to brush and floss your teeth daily. If you have any questions about brushing and flossing, please call 1-818-578-2332 or contact our Burbank dental office today.